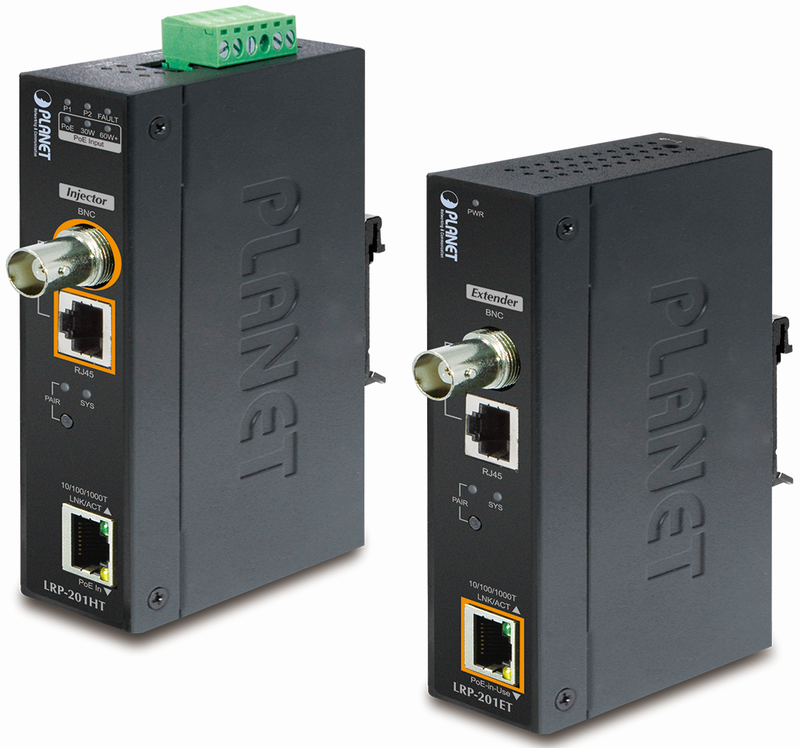 The LRP-201-KIT includes two products: The LRP-201HT, a coaxial/UTP Long Reach PoE injector (LRP injector), and the LRP-201ET, a coaxial/UTP Long Reach PoE extender (LRP extender). 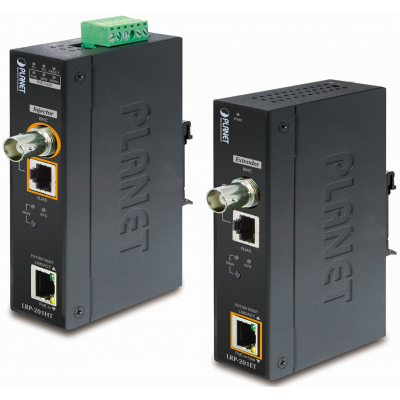 Working in pair, the LRP-201HT can be powered by either external DC power adapter or PoE++ Ethernet switch, and from there, the LRP-201ET’s ultra PoE output goes to a PoE PD. The LRP-201-KIT can be widely used in Intelligent Transportation Systems (ITS), traffic surveillance, security monitoring, automation control, intelligent residential districts and so on. The LRP injector is powered via IEEE 802.3at/bt PoE and connecting to LRP-201ET with coaxial cable. The IEEE 802.3at/bt compliant PoE PD will automatically be powered by the LRP extender via UTP. The LRP injector is powered via the external power adapter and connected to LRP-201ET via coaxial cable. The IEEE 802.3at/bt compliant PoE PD will automatically be powered by the LRP extender via UTP. The LRP injector is powered via IEEE 802.3at/bt PoE and connected to LRP-201ET via UTP cable. The IEEE 802.3at/bt compliant PoE PD will automatically be powered by the LRP extender via UTP. The LRP injector is powered via the external power adapter and connected to LRP-201ET via UTP cable. The IEEE 802.3at/bt compliant PoE PD will automatically be powered by the LRP extender via UTP.